This redhead is ready to bring some cheer into your home! 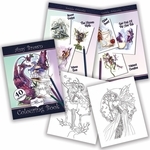 The Christmas fairy ornament is based upon the artwork of Amy Brown. The pixie wears an outfit of red with green accents, and has poinsettia blossoms upon her skirt. She's got candy-cane striped red and white hair, and wings to match. 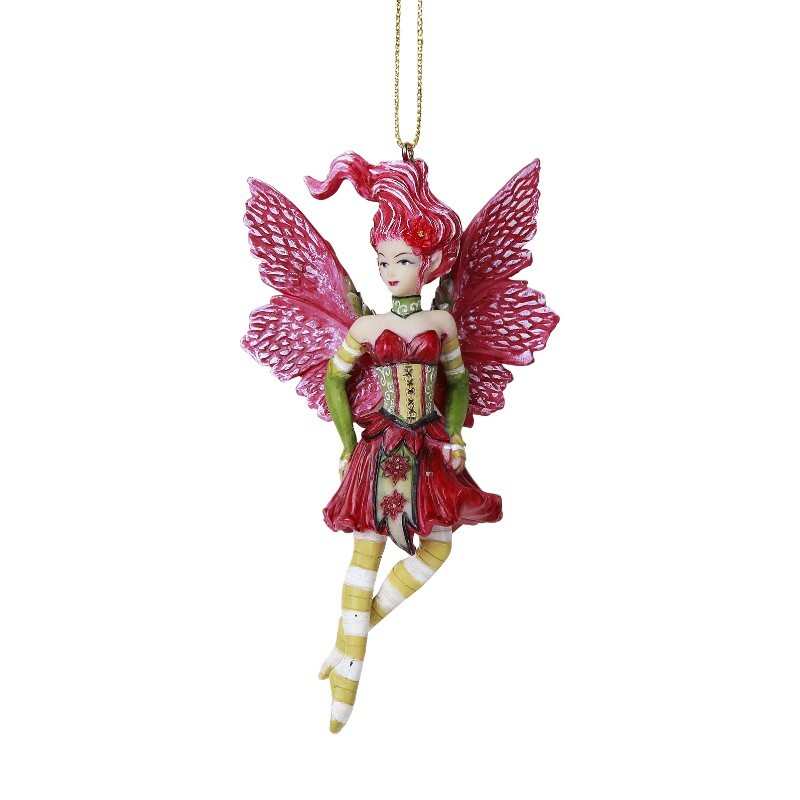 The figurine is a truly wonderful gift idea, and would look amazing on a Christmas tree! Size: 2 1/2" x 1 1/2" x 4"